Updated Craftsman nestled in the trees overlooking Saddlepeak mountain range. One of Topanga’s finest locations. 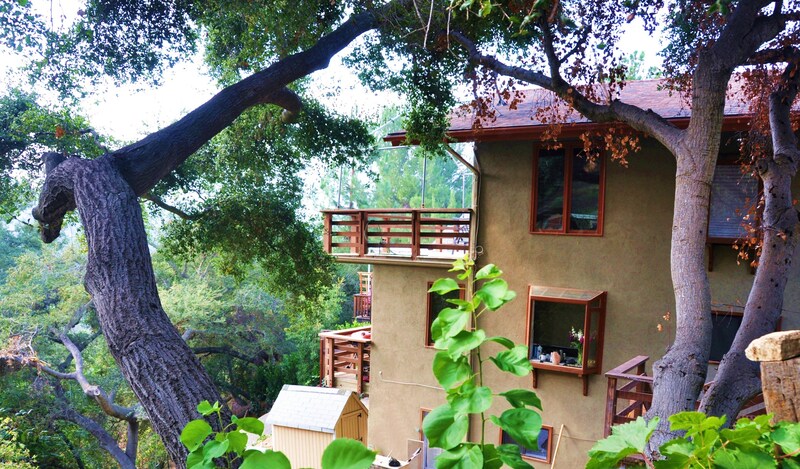 Walk into Topanga State Park from this adorable Craftsman-style home with double decks. Rent the downstairs unit and/or both for a profitable income property, or live and enjoy the chef’s kitchen with subzero, fine Craftsman built-in bookcases and cabinetry, hardwood floors, wood plantation shutters, and amazing mountain veiws from tranquil tree-lined lane. $599,000.